Indian night frogs split off from other frogs some 70 to 80 million years ago, making them a particularly ancient group. 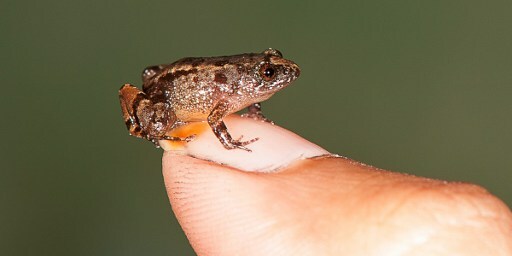 Scientists have discovered four new species of miniature night frogs small enough to sit on a fingernail in a remote part of India, according to a report published on Tuesday. The researchers, who spent five years exploring the lush Western Ghats mountains, said the tiny amphibians were there in abundance but had likely been overlooked because of their size. They also found three other species of night frogs, according to the report in the PeerJ medical sciences journal. “The miniature species are locally abundant and fairly common but they have probably been overlooked because of their extremely small size, secretive habitats and insect-like calls,” researcher Sonali Garg was quoted as saying.